Founded in Atlanta, GA in 1899, Equifax is the oldest American credit agency and stands as one of the largest along Experian and TransUnion. Holding information on more than 400 million credit holders around the world, it is also listed in the New York Stock Exchange (NYSE). Its corporate origins though, are a little more diverse, if not controversial. Equifax started as Retail Credit Company, and by the 1960’s it was one of America’s largest credit bureaus, maintaining offices in the US and Canada and holding credit files on tens of millions of American and Canadian citizens alike. Although they always did credit reporting, most of its business was done by reporting to insurance companies whenever people applied for their policies. No one would think much of it, except RCC drew heavy criticism during the 60’s and 70’s because it stored both factual data and statistics, as well as inaccuracies, allegations and rumors (especially negative ones) about pretty much all aspects of your life, be it marital issues, sexual behavior, affairs, jobs, childhood and youth history, political views, you name it. But this probably happened for a greater good because by then the US Congress held several hearings from which the Fair Credit Reporting Act was enacted in 1970. RCC changed its name to Equifax in 1975, supposedly to improve their corporate image, and starting from 1999, it began offering credit fraud and identity theft prevention services, which is our topic of interest. Every October witnesses National Cyber Security Awareness Month, and just a few days ago Equifax launched its #IDSmart informational series to help and guide consumers to better shield their identities, be it offline (home, work, school) or online. 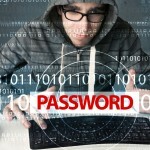 Some of these tips include up-to-date online security such as firewalls, anti-virus and anti-malware software for all your online transactions essentials as well as never sharing sensitive information on social media, including your birthday. As for tangible forms, Equifax recommends shredding unused documents and credit card receipts using a diagonal shredder, writing just your first initial on your checks and refraining from use the Internet to send forms that require your personal sensitive information (consider using priority mail for this). They also recommend checking out Equifax Complete, which alerts you immediately on relevant changes about your credit file and, most importantly, whenever a new account is opened under your name. Even though identity theft is declining over the years, the following numbers are still shocking. According to the US Attorney General Greg Zoeller, identity theft represented an estimated loss of more than $18 million from close to 17.6 million American citizens in 2014 alone. So just preventing identity theft by monitoring activities is clearly not enough. 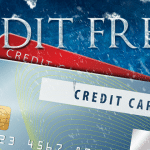 Zoeller offers a clean-cut solution–a credit freeze. What this means is that all credit bureaus are restrained from releasing your credit file without your explicit permission, and because most, if not all, creditors won’t open any accounts or credits without it, that means ID thieves are frozen. Yes, there are some drawbacks, perhaps even some fees depending on each state and also a delay for whenever you are legitimately requiring a new credit, but being safe will always be more important than being sorry. Note that for optimal results, you will need to ask for a credit freeze to each of the three main credit bureaus in the country: Equifax, Experian and TransUnion. https://en.wikipedia.org/wiki/Equifax (for paragraphs 1 and 2). http://www.southbendtribune.com/news/business/consider-a-credit-freeze-before-your-information-is-stolen/article_e9a1664b-6bee-541a-95fa-d8c660ac805f.html (also for paragraph 4). Learn more about Equifax and how Equifax can affect you and your family. Get valuable information and resources about Equifax now.